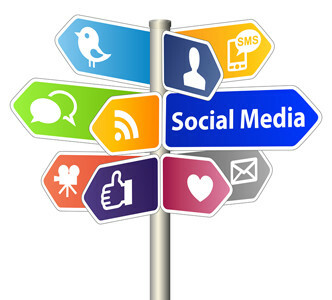 How is SMS Marketing beneficial in growing your brand? With the amount of smartphone users increasing every year, the need for mobile marketing is critical to forward-thinking businesses. 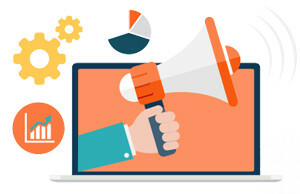 Adapting to the way consumers communicate now a days is the key to ensuring your business keeps us with the latest market trends while using a reliable method. 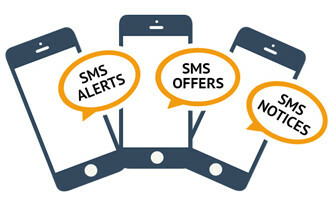 What are the benefits of SMS Marketing? It’s fast and easy to use. Instead of waiting for a new design to be created and finalized, you will now have the ability to write a message and send it out as a mass SMS to your customers as easy as it is to text your co-workers. Becoming mobile adaptive is here to stay, and why not, when more than 90% of messages sent get read within 3 minutes of being received. 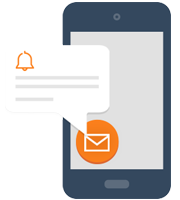 Our SMS platform does not have to be used just for Bulk SMS Marketing. Our SMS platform is designed to allow you to utilize SMS technology to fit the needs of your business. "Your bill is currently past due" - "Your order is ready for pickup" - "Your order has been placed. Transaction ID: 1234567" - "Forgot your Password Verification Code: xyz123" these are just a short list of examples on how our system can be utilized. SMS is one of the most eco-friendly form of communication compared to flyering and direct mailers. Ultimately, SMS Marketing is the most effective and immediate way to reach your customers directly. Having the ability for customers to opt-in to your mailing list generates an instant lead directly to the customer without having to put more energy in building leads. 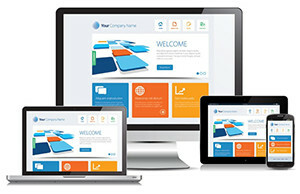 Opting-In, or text-2-join also guarantees that your customer is interested in your company and will not get ignored. 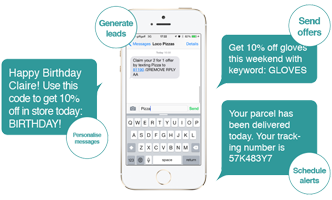 Overall, SMS Marketing is simple yet powerful addition to your marketing strategy in the new era of smartphones. What's included in the Klutech SMS Marketing Program? Dedicated SMS Phone Number. Using your local area code (or any other area code requested). Up to 20,000 SMS messages per month, and $0.01 per message after. Unlimited Subscribers, Unlimited Lists. Create and manage as many lists (or groups) as you need. Klutech charges $300.00 per month for SMS Marketing and a one time setup fee of $50.00, or check out our Klutech Program which includes much, much more, and as an add-on SMS Marketing as well.